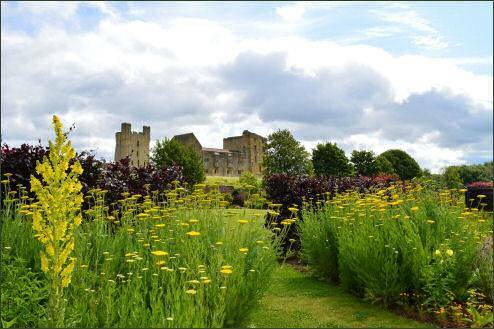 Helmsley Walled Garden stands in the shadow of historic Helmsley Castle, at the foot of the North York Moors. It consists of 5 acre kitchen garden. 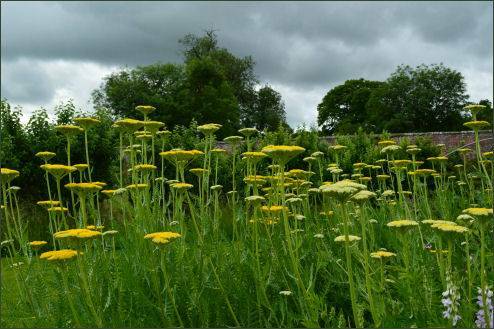 Started in 1759, the garden provided the vegetables, fruit and flowers for nearby Duncombe Park until just after the First World War when it was leased as a market garden. 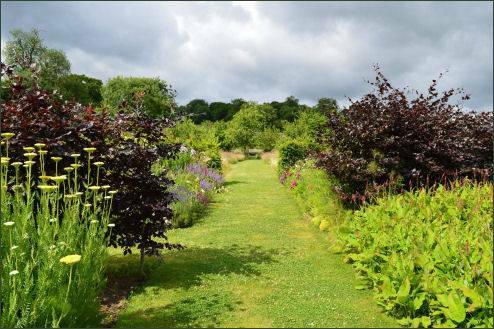 The garden was abandoned during the 1970s but has been lovingly and extensively restored since 1994. There are Victorian glasshouses, designed in 1850 as a vine house and now bursting with colour, fruit trees, vines, a superb double herbacous hot border which runs the entire length of the garden, a laburnum arch, which is stunning when in flower, a peony garden, dipping pond and a clematis garden with over 250 varieties of clematis for the visitor to see. 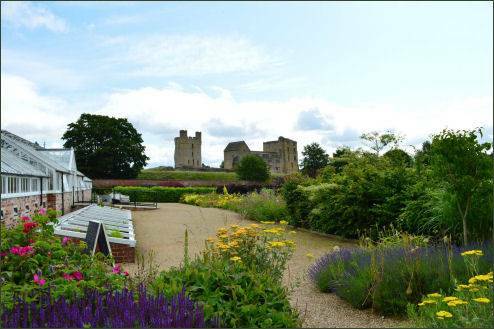 The busy kitchen gardens produce hundreds of varieties of organic fruit, 52 Yorkshire apple varieties and vegetables. 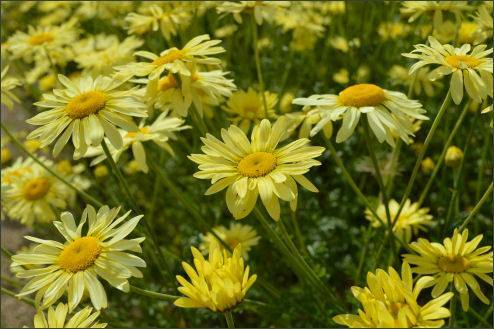 A new attraction is the edible flower garden, showing some of the flowers that can bring new colour and style to salads and other dishes. 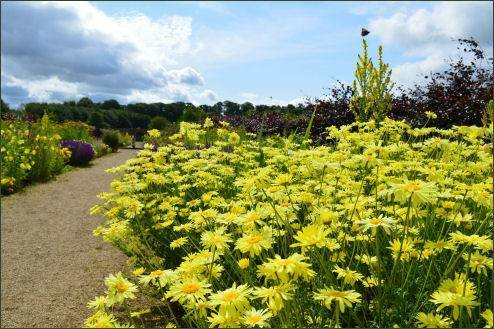 The Plant Centre sells a wide selection of herbaceous perennials, some of which visitors will find on display in the Garden. There is also a gift shop selling useful garden sundries. 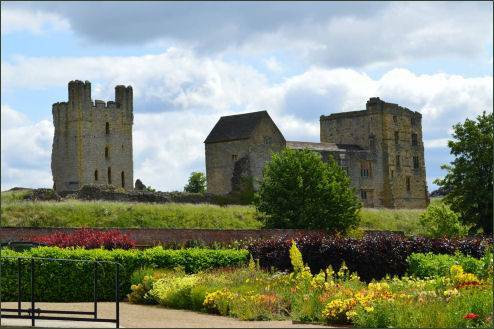 Helmsley is on the A170, 25 miles from York, 14 miles from Thirsk and 16 miles from Malton. 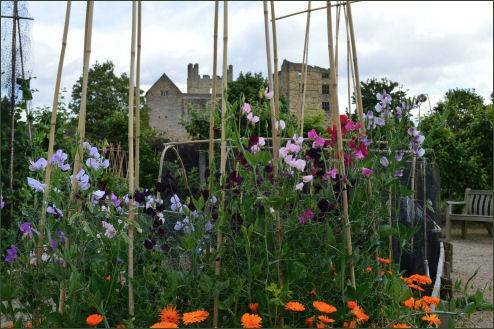 Helmsley Walled Garden is a short walk from the centre of Helmsley. Follow signposts from the Cleveland Way Car Park, adjacent to the Castle.